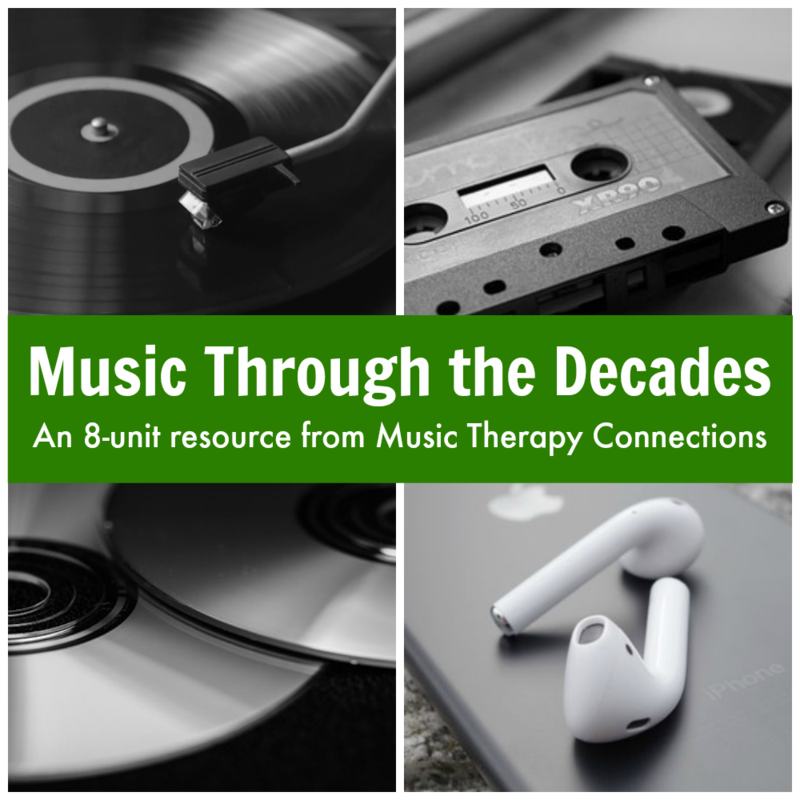 Music Through the Decades is an 8-unit resource you can use to introduce your students and/or clients to music spanning from pre-1950 to present day. Once you complete your purchase, you’ll receive an email granting instant access to a Dropbox folder containing all of the Music Through the Decades materials. For more details about this resource, continue reading below. This summer, we set out to create an enriching experience for our students by exposing them to music spanning the last 100+ years. 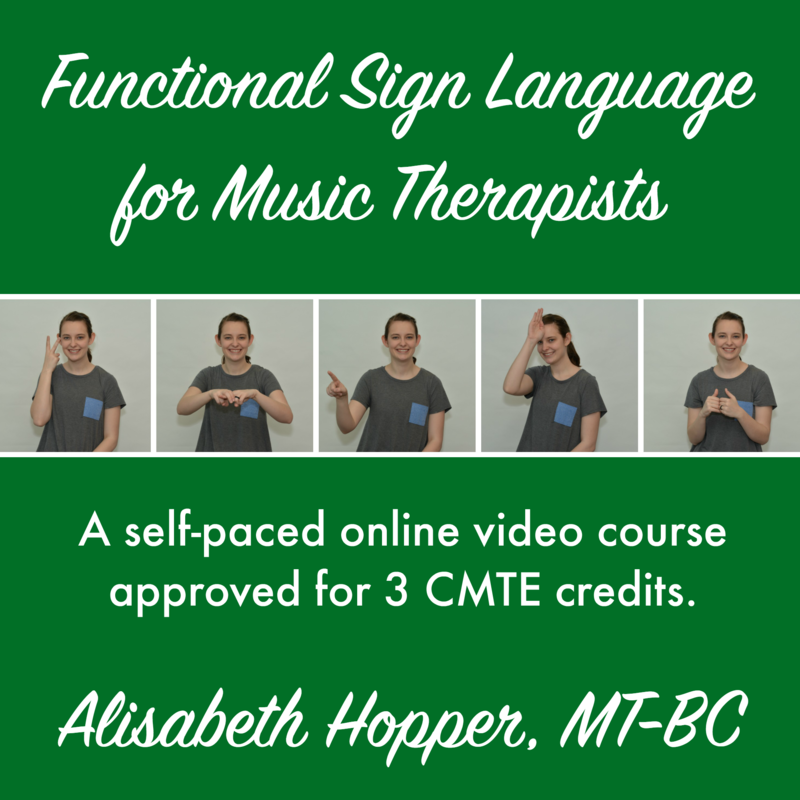 In designing this 8-week series, we aimed to continue helping our students reach their goals in music therapy while providing a fun and engaging framework in which students, support staff, and our music therapists can interact in a meaningful way. Thus, Music Through the Decades was born! Throughout the summer, we’ll be introducing and implementing music from a different decade each week. And while this resource was originally created for children, teens, and young adults with multiple disabilities, we were intentional about putting it together in a way that would support growth for people of all ages and abilities. 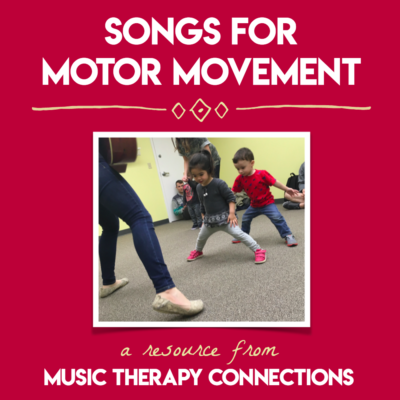 For that reason, we’d love to share it with YOU for use in your music therapy sessions, groups, camps, or other settings where you help people learn and grow through music. 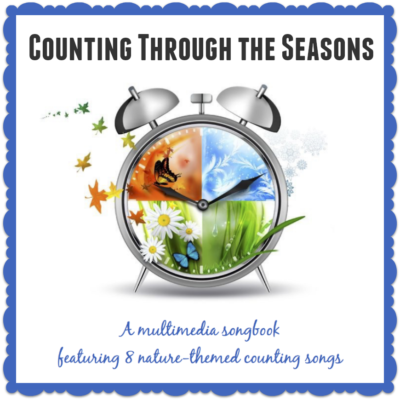 A total of 80 song titles spanning from pre-1950 to present day are included in this resource. Each group of songs was carefully chosen to encourage engagement and fully represent each decade, while taking into account clients’ music preferences and staff requests/suggestions. Music Through the Decades contains overviews for all 8 units, categorized by decade, each including: song list with YouTube video links for quick reference, applications for each song with additional adaptation ideas, and a list of alternate song choices. We have also included 2 printable resources for each unit that you can use with your students and/or clients to further build upon the applications we have included in the overviews. In addition to all of the above, you will also receive 5 original hello songs and 5 original goodbye songs (including mp3s and lyrics/chords) that you can use in your Music Through the Decades sessions. So what else will you need to implement Music Through the Decades? The instruments and equipment we chose are what we consider to be “essentials” that do not distract from the songs themselves: guitar, shakers, drums and scarves. We do provide adaptation ideas for additional instruments as well, and encourage you to make substitutions based on your own participants’ preferences, goal areas, and needs. Music Through the Decades provides a solid framework that you can use over a span of weeks or months to provide your own students with a fun and engaging musical experience.